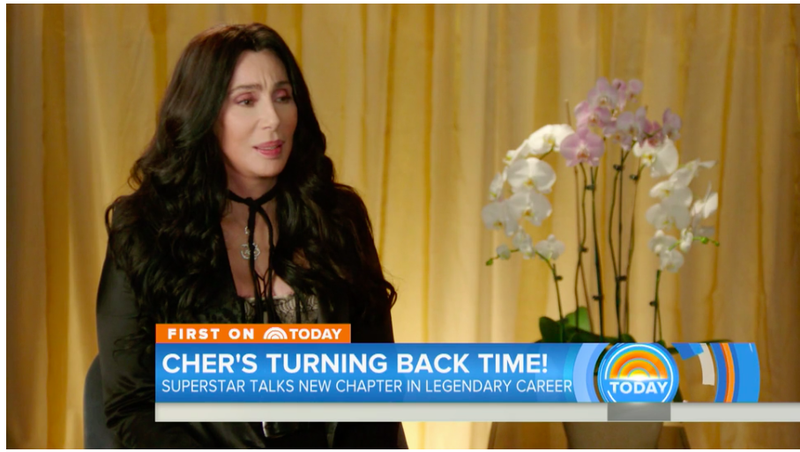 Cher, a woman who is seemingly ageless, spoke to Maria Shriver on Today and admitted to the world that she’s “never been a huge fan” of Cher. I’m sorry, what? Cher! What’s wrong? Following her recent announcement of a 2017 tour called “Classic Cher” (yes please), she sat down with Maria Shriver and discussed how she’s never really been that into herself. Whether she means Cher the performer or Cher the person at home on Twitter is unclear. “I’ve never really been in love with Cher – she’s all right– but I’ve never been a huge fan,” she said to an incredulous Maria Shriver who was incapable of comprehending this. “You’re not a huge fan of Cher?” she asked. “I’m not a Cher fan, exactly!” Cher replied, pleased as punch that Maria got it. Cher’s not terribly thrilled about getting older; nobody is, but she’s like, really not. Cher! You look great, babe. You really do. Angelina Jolie sat down for a chat with the FBI Tuesday over what precisely happened on the plane between her soon-to-be ex husband Bradd Pitt and her son Maddox. Shortly after the plane took off, Brad and Angelina began arguing and Maddox jumped up to verbally defend his mom. We’re told Brad then lunged at the boy and Angelina jumped in between them to block her husband. Brad connected in some fashion with his son. It’s this “connection” that allegedly occurred between Brad and Maddox that spurred the divorce. The FBI is mostly concerned with where the plane was when this went down; if it happened in the air, it’s their jurisdiction, but if it happened in Minnesota where the plane refueled, it possibly belongs to them.